Spanish is the official language of the city and of the country as well. Spanish is the most-spoken language and practically the only one used, except some French and Portuguese. Malabo is the oldest city in Equatorial Guinea. Many buildings in the city are built in a colonial style, dating from the times of Spanish rule, coexisting with modern buildings built since independence. The downtown streets have a square design, with pedestrian areas. This phenomenon causes a feeling of architecture attenuated by the low height of buildings in a combination of architectural Westernization and Africanism. In 1472, in an attempt to find a new route to India, the Portuguese navigator Fernão do Pó, encountered the island of Bioko, which he called "Formosa". Later the island was named after its discoverer, Fernando Pó. At the beginning of the 16th century, specifically in 1507, the Portuguese Ramos de Esquivel made a first attempt at colonization on the island of Fernando Pó. He established a factory in Concepción (current Riaba) and developed plantations of sugarcane, but the hostility of the insular Bubi people and diseases ended this experience quickly. With the treaties of San Ildefonso in 1777 and El Pardo in 1778, during the reign of the Spanish King Carlos III the Portuguese gave to the Spanish island of Fernando Pó, Annobón and the right to conduct trade in the mainland, an area of influence approximately of 800 000 km2 in Africa, in exchange for the Colonia del Sacramento in the River Plate and the Santa Catalina Island off the Brazilian coast (occupied by the Spaniards). The area stretching from the Niger Delta to the mouth of Ogüé River -in the current Gabon- and included, besides the islands of Fernando Pó and Annobon, the islets of Corisco and Elobeyes. Failed its various unsuccessful attempts to colonize these lands, Spain for its internal problems, lost interest in Spanish Guinea in 1827 and authorized the British use the island as a base for the work of suppression of the slave trade. In 1821, the British captain Nelly approached the island of Fernando Pó. He found it abandoned and founded the establishments of Melville Bay (Riaba) and "San Carlos" (now Luba). Some years later, another British captain, William Fitzwilliam Owen, decided to colonize the island and in the north of it -on the site of the present capital- erected a base for British ships hunting European dealers in slaves. Thus arose, on 25 December 1827, Port Clarence on the ruins of a previous Portuguese settlement. The name was chosen in honor of the Duke of Clarence, who later became King William IV. The Bubis indigenous to the island called it "Ripotó (place of the foreigners). The population of the capital was increased by the arrival of slaves freed by the British. These freedmen were settled in Port Clarence before the establishment of Sierra Leone as a colony for freed slaves. The descendants of these freed slaves remained on the island. They joined other migrants who arrived as free workers from Liberia, Sierra Leone, Ghana, Ivory Coast, Benin, Nigeria and Cameroon, and became the population group called Creole or fernandinos, whose language was a Pidgin Bantu-English with some Spanish elements. During the British period, the British consul automatically became the governor of the colony, including Governor John Beecroft, a British mulatto sailor who modernized the capital, and whose work was later recognized by Spain with a monument in Punta Fernanda. In 1844, when Queen Isabel II of Spain ruled after the regency of her mother Maria Cristina and Baldomero Espartero, in an attempt to modernize Spain and rescue its heritage, Spain let the UK know its desire to regain control of the colony and thus the island. It took another decade to implement this direct control. The capital already had more dynamic and Protestant religious missions which were very successful. Both factors helped to change the attitude of Spain, in addition to internal reasons already alluded. Spain again took control of the island in 1855 and the capital, Port Clarence, was renamed Santa Isabel, in honor of Queen Isabel II. The capital of the island of Fernando Pó became the capital of Equatorial Guinea. Its present name was given to the town in 1973 as part of the campaign of President Macías Nguema to replace place names of European origin with African names, in this case honoring Malabo Lopelo Melaka, the last Bubi king. Malabo, the son of King Moka, surrendered to the Spaniards. His uncle Sas Ebuera, head of the Bubi warriors, claimed to represent legitimate Bubi rule and continued resisting, confronting the Spanish openly in 1898. After the Spanish killed Sas Ebuera, Malabo did become king unopposed, but with no authority. Bubi clans and settlements were slow to accept Spanish sovereignty over the island, and the full conquest and pacification of the island was not achieved until 1912. During the so-called Reign of Terror of Macías Nguema, the dictator suppressed much of the intelligentsia of the country, initiating the process of taking over the positions of the public administration by part of the natives of Mongomo and clan Esangui. Many city residents had to leave. In the last years of his mandate, almost a fifth of the population fled. At that time (1968–1979), Equatorial Guinea received money from the Soviet Union in return for, inter alia, affording port facilities for Soviet naval craft, particularly submarines. The infamous Black Beach Prison also known as Blay Beach prison (or Playa Negra prison) sits at the mouth of the Cónsul River, beside the black beach and behind the Governor's Palace and barracks. Several people have been jailed there in the over the 35 years of dictatorship. Among those imprisoned and tortured are many political leaders such as Rafael Upiñalo (Movimiento), Fabián Nsue (UP), Felipe Ondo Obiang (FDR), Martín Puye of Movement for the Self-Determination of Bioko Island (MAIB) or Plácido Micó of the Social Democratic Convergence for Social Democracy (CPDS). A group of mercenaries was also jailed at Black Beach for an attempted coup against President Teodoro Obiang Nguema. Malabo is situated north of the island of Bioko, at coordinates 3° 45' 7.43" North and 8° 46' 25.32" East. The south of Malabo is limited by the Cónsul River and just across the river, south-west, is the hospital. West of the city, located about 9 km from the center of Malabo, is renewed Malabo International Airport. In the coastal region north of the city are the bays and capes. The elder is the punta de la Unidad Africana located just behind the Presidential Palace of Malabo and which occupies the entire eastern part of the Bay of Malabo. Another cape of importance is punta Europa located in the west of the city near to the airport. Malabo features a tropical monsoon climate (Am). Malabo receives on average 1,800 mm of rain per year. The city has a pronounced, albeit short, sunnier (but still cloudy) dry season from December through February. February is normally its driest with 33 mm (0.2 in) of rain falling on average. It also has a very long cloudy wet season that covers the remaining nine months (March–November). On average, the months hit hardest by the wet season are from September to October, with receiving 500 millimetres (20 in) of rain and showers between them. Daytime temperatures do not vary at all day to day, and only vary a few degrees throughout the entire year. At night, the average low temperature is 20–21°C in every month of the year but January to April have a slightly higher diurnal range because it is clearer. Nonetheless, with only 1,020 hours of sunshine per year, Malabo is one of the cloudiest, wettest and lightning-prone capitals of the world and experiences much fog and haze even when it's not raining in the driest months. The current mayor is María Coloma Edjang Mbengono who establishes the municipal services prescribed by law, which are the responsibility of the municipality. These include drinking water and others public sources, lighting, paving of roads, cemeteries, cleaning and sanitation, the sanitary waste treatment and waste, disinfecting, emergency first aid, health inspections and drinks, health inspection of poor housing, sanitation, public banks, slaughterhouses, markets and the elimination of stagnant water. Through the Spanish Agency for International Cooperation for Development (AECID), are made several development projects at both regional and national level. Headquartered in the Technical Cooperation Office in Malabo (created in 1984), carried out actions for the development of the culture, health, education and institutional strengthening. Stressing the Cultural Center of Spain in Malabo (CCEM), founded in 2003, where young people are encouraged to feel a cultural space where they can unleash their creative freedom. It also has three geographical axes, in order to capture the largest number of people in the region and contribute to its development. Activities include the training, art, film, theater, music and games, with the two main festivals: Traveling Film Festival of Equatorial Guinea (FECIGE) and the International Festival of Hip Hop in Malabo. Another important center is the Hispano-Guinean Cultural Center, from 2012 Equatorial Guinean Cultural Center began as headquarters of Institute Cardinal Cisneros, and then archive, museum and library. It was built in the 1950s. The Museum of Modern Art Equatorial Guinea has traditional and contemporary art of the country and the continent. In the city also is the National Library, built in 1916. Malabo has a relatively young population. Approximately 45% of the population is under 15. Only about 4% of the population is more than 65 years old. Most of the population lives in rural areas of the island. The city is predominantly Catholic. More than 80% of the city population is Catholic and about 4% practices a tribal religion. Islam is also present in the city, as is Judaism. Some Christian communities, such as the Mormon and Jehovah's Witnesses, are also present in Malabo, although in smaller numbers. Malabo is the commercial and financial center. Malabo's economy is based on the administration and other services. Trade is also one of the most prominent and important economic activities, especially since the arrival of US companies which exploit oil wells close to the coast. This trade also comes from the presence of other Americans, Latin Americans, Nigerians, Cameroonians, Spanish and other Central Africans; The building that was originally built by the Banco Popular Español, but after independence became the seat of Banco de Guinea Ecuatorial. The main industry in the city is fishing, while cacao and coffee are the main products of export. Malabo has a high-tonnage port, connected mainly with the ports of Douala, (Cameroon) and Bata, and an air link via an international airport. There are about 300 hotel beds, of which only 50 are of quality. The National University of Equatorial Guinea (UNGE) and the National Distance Education University (UNED), the latter Spanish-language, have headquarters in the city. The Colegio Nacional Enrique Nvó Okenve, another of the country's universities, has one of its two campuses in the city. Malabo has preserved buildings from the colonial era, such as the Presidential Palace and the Palace of Justice of Malabo. Other colonial buildings are also found downtown, although they are worn; for example the wooden 19th-century buildings on Nigeria and Rey Boncoro streets. Notable buildings include the Cathedral of Santa Isabel, of the Roman Catholic Archdiocese of Malabo. It is a church in the neo-Gothic style, built between 1897 and 1916. Its architect was Luis Segarra Llairadó, paid by contributions from the government of Spain and the donations of the faithful. It has two spires 40 meters high. Other points of interest are La Gaditana, known as Finca Amilivia prior to 1918, the casa Teodolita, built in 1902 and one of the oldest homes in the city, the City Hall building in Malabo, the Church of Elá Nguema, Independence Square, the Casa de España and the bay of the harbor. The system of public transport of the capital includes service of buses to make the journey between downtown of Malabo and the neighborhood of Ela Nguema of taxis circulating the city and outlying areas, and car hire called Avis and Europcar. The port of Malabo can theoretically reach a treatment capacity of 200,000 tons/year. The main maritime links are with national destination to Bata and international to Spain and Douala in Cameroon. The Malabo International Airport serves the city. It is located 7 km from the center in Pointe Europa [fr]. It serves long-distance direct flights to Europe and some African capitals. Iberia, Air France and Lufthansa all operate there. Most air traffic links to Bata, Douala (Cameroon), Cotonou (Benin) and Libreville (Gabon) via local airlines Camair-Co, Air Gabon and Ecuato Guineana (EGA). The main sports facility of Malabo, and the country, is the Nuevo Estadio de Malabo, with a capacity of 15,250 spectators. The stadium is home to the Equatorial Guinea national football team and hosted matches during the 2012 Africa Cup of Nations. Notably, the Spain national football team, at the time World Champions, played a friendly at this stadium. Currently the stadium also is home to the Sony Elá Nguema, the main club of the country. Also located in Malabo is the Estadio Internacional. The Estadio Internacional has a 6,000 seat capacity. The Equatorial Guinea national football team played here until the Nuevo Estadio was opened. The 16 November 2013, the Spain national football team played a friendly match against the Equatorial Guinea national football team. It was the first visit of a European team in the country, and the match was criticized by several organizations, including the president of the LFP Javier Tebas, due to the political situation of the country and the government of Teodoro Obiang. Some of the top clubs in the country, who have won several times the Primera División de Guinea Ecuatorial are from the city of Malabo. The club with the most league titles is the Sony Elá Nguema with 14. Other clubs from the city that have been proclaimed league champions are the Renacimiento Fútbol Club, the Atlético Malabo or Cafe Bank Sportif. Another club of the city is the Atlético Semu, once champion of Equatoguinean Cup. Another important club from the city is the Malabo Kings of basketball, which was champion of the country, and in 2013 was proclaimed champion Central Zone of Africa Basketball Championship, winning in Kinshasa at Talia from Gabon. The Malabo Kings had already finished second in 2011, Yaounde (Cameroon). In 2013 held in Malabo on I Campus of Basketball Ciudad de Malabo organized by the Equatorial Guinea Basketball Federation and Club de Baloncesto Conejero from Spain. Malobo was originally to host the 2019 African Games but due to economic problems they decide to withdraw its hosting rights and was replaced by Casablanca, Morocco. Malabo has been significantly affected by Teodoro Obiang Nguema Mbasogo's growing co-operation with the oil industry. The country's production has reached 360,000 barrels per day (57,000 m3/d) as of 2005[update], an increase which led to a doubling of the city's population, but for the vast majority, very little of that wealth has been invested in development. ^ "Equatorial Guinea - The World Factbook". cia.gov. 7 June 2018. Retrieved 24 June 2018. ^ "E Guinea government moves into forest HQ". 8 February 2017 – via www.bbc.co.uk. ^ Dennis D. Cordell. Dennis D. Cordell (ed.). The Human Tradition in Modern Africa. Human tradition around the world. 49. Rowman & Littlefield, 2012. p. 58. ISBN 0742537323 – via Google Books. ^ "Klimatafel von Malabo (Santa Isabel) / Insel Bioko (Fernando Póo) / Äquatorial-Guinea" (PDF). Baseline climate means (1961–1990) from stations all over the world (in German). Deutscher Wetterdienst. Retrieved 19 December 2018. ^ "Malabo gets second female mayor". Panapress. PANA. 19 May 2004. ^ "List of Mayors (1960–present) (in Spanish)". City Council of Malabo. Archived from the original on 6 September 2004. Retrieved 19 November 2013. ^ "Equatorial Guinea (in Spanish)". AECID. Retrieved 24 November 2013. ^ "Cultural Center of Spain in Malabo (in Spanish)". Embassy of Spain in Equatorial Guinea. Retrieved 24 November 2013. ^ "Equatorial Guinea". UNData. United Nations Statistics Division. Retrieved 24 November 2013. ^ "Luanda, Malabo strengthen link with US oil capital". Afrol News. Retrieved 24 November 2013. ^ "Africa Cup 2012 – offices". Marca.com. Retrieved 24 November 2013. ^ "Africa Cup 2012 – Schedule & Results". Marca.com. Retrieved 24 November 2013. ^ "Africa Cup 2012 – Final Table". Marca.com. Retrieved 24 November 2013. ^ EFE (15 November 2013). "Tebas: "Equatorial Guinea is not the luckiest place that Spain could have chosen to play"". Marca.com. Retrieved 24 November 2013. ^ "Spain walks the star by Guinea in a friendly stained by the politic". rtve.es. 16 November 2013. Retrieved 24 November 2013. ^ "Miguel Ángel Hoyo, champion of the Central Zone of Africa with the Malabo Kings". Spanish Basketball Federation. 14 October 2013. Retrieved 24 November 2013. ^ "The Malabo Kings won the silver medal in the qualifiers of the African Club Championship Basketball". Asturias Mundial. 21 July 2011. Retrieved 24 November 2013. ^ "The CB Conejero launched a campus in Malabo". Lanzarote deportiva. 1 October 2013. Retrieved 24 November 2013. ^ Cobb, Charles (16 December 2002). "Obiang Sure to Win As Opposition Quits Poll". 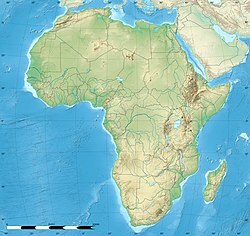 AllAfrica. ^ "Sister Cities, Public Relations". Guadalajara municipal government. Archived from the original on 2 March 2012. Retrieved 12 March 2013.